There are numerous – literally too many to count – personal-injury lawsuits in legal Limbo. Many victims await impending settlement and find themselves strapped for cash. They know that “down-the-line” they will eventually “come into some money,” but given the administrative nightmare of a seemingly endless wait, how are they going to pay their bills now? How will they secure an attorney to help them through cases? 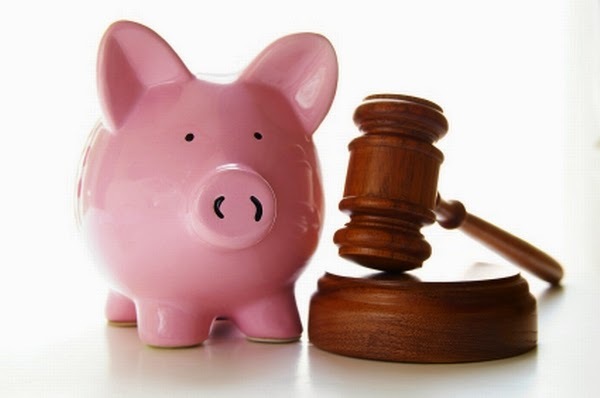 Many people – “The Clients” -- involved in the throes of a personal-injury lawsuit are turning to the unsecured legal loan from a litigation funding company (they provide the aforementioned “legal loans”). The draw is that the cost of the legal loan will never exceed the value of a settlement. The potential negative is that there is no regulation on the interest rates. The New York Times reports on an incapacitated man facing eviction. He couldn’t afford to pay for his home, due to being disabled. The class-action lawsuit in which he was intrinsically involved, would not be settled in time. He borrowed a little more than $9,000 from a legal financing company, which provided him with the money immediately, and in time to “save” his house. Eighteen months later, the case was settled, and he was awarded $27,000, but he owed the lending company more than $23,500. Essential to the legal loan is “The Broker” who originates the lawsuit loan for the finance company (see next paragraph). “Brokers,” like salesmen, look for qualified “leads,” i.e. “Clients” whose cases will not only potentially cover the cost of the loan, but still leave enough of the settlement to the “Client.” They also look for the “Underwriters,” and essentially make a match between “Client” and “Underwriter,” for a mutually beneficial situation. “The Underwriters” are the legal-funding companies, hedge funds, banks, or investors who are able to immediately advance cash to the needy personal-injury plaintiffs. They choose “Clients” whose cases claim sufficient exchange – meaning, they will get their money “back” (the cost) when the settlement goes through. Legal loans are not secured without the assistance and participation of an “Attorney,” who proves to “The Underwriter” that “The Client’s” case is has merit and worth “The Underwriter” taking the risk to hand over the cash. Also, the “Attorney” draws up a contract, commits to being the “escrow agent,” with the caveat that there is a lien on the case. Yes, there is a high-interest rate, but if a “Client’s” livelihood, home and health are in jeopardy, it can be a huge relief and the proverbial “saving grace.” Even if a client is jobless, without property or has bad credit, they can still get a legal loan, which is not contingent on collateral, but only on the actual settlement of the case. Legal financing has emerged, it has been reported, as a viable alternative for U.S. and Canadian Class-Action lawsuits. It is important, however, that clients in dire need, be sure that the “Broker” they choose is viable and legitimate. Choose a trustworthy attorney and broker who will bring you to a lawsuit lender/”Broker” who won’t siphon away all of your settlement. Ask for licensing and disclosure requirements. Remember, if you do not win your lawsuit, you do not have to repay the money the “Underwriter” gave you. Check your state and federal regulations, because different legislation's apply based on your location.